New Rochelle, NY (March 20, 2019) – The two people who were tragically killed in an accident that sent a vehicle into the Long Island Sound on Tuesday afternoon, March 20th, have now been identified by police. 74-year-old Ralph Simpson and 74-year-old Arlene Simpson, a husband and wife, crashed through a steel railing around 4:00 p.m. in Hudson Park, subsequently submerging their vehicle in the water. New Rochelle police divers were immediately called to the scene, where they dove into the water and pulled the husband from the car. He was promptly transported to a local hospital unconscious and unresponsive, and he was sadly pronounced dead a short time later. Divers who worked at the scene and recovered the vehicle found the body of Arlene Simpson among the debris inside the submerged car. She was pronounced dead at the scene. 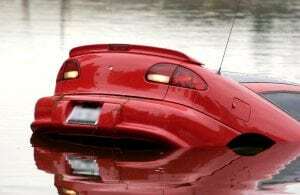 Responders were unable to locate Mrs. Simpson during the initial recovery due to a lack of visibility in the water and the clutter inside the vehicle. The cause of the accident remains under investigation at this time. Unfortunately, many car accidents in New York end in extremely serious injuries or death, especially those which end in a body of water. Before moving on, we would like to extend our most genuine condolences and heartfelt sympathies to the loved ones of both Ralph and Arlene Simpson. While it can be very difficult, it is important for the bereaved families to know that they may have substantial rights, especially if the crash was caused by another party or entity such as a manufacturer. Our New York accident attorneys at Hach & Rose have devoted their lives to helping those who have suffered due to the actions of another party. We recognize the immensely physical, emotional, and financial complications that arise in the aftermath of such a devastating incident, and we are here for you 24/7 to answer any questions you may have. If you have lost a loved one in a New York car accident, please don’t hesitate to call 212-779-0057 today.